This turbocharged diesel Skoda Octavia has been through over 400,000 miles of daily-driven torture. Heat cycles, explosions, long hauls, short trips, and years of wear and tear have taken its toll on the car. This Skoda cost 200 pounds. It’s dirty, dusty, grubby, and rusty, plus it’s a bit broken. Given all of that, it still runs great. So what does the inside of this original turbo engine look like? That’s what this video from Car Throttle intended to find out. I tend to have a lot of sympathy for inexpensive cars, and like to see them continue to soldier on for years after most drivers would have dumped them at the scrappers. Mechanical sympathy is important if you’re going to try to get a lot of miles out of a car. Treat it right, and it’ll treat you right. Yes, the fact that it is a VW 1.9-liter turbo diesel surely helps the fact that this engine has lasted so long, as they were overbuilt tank engines in the first place. You’d still expect a car with this kind of mileage on the odometer to be seriously whupped, right? That’s exactly what the VW specialist tasked with tearing it down expected. He was pleasantly surprised taking it apart, however. 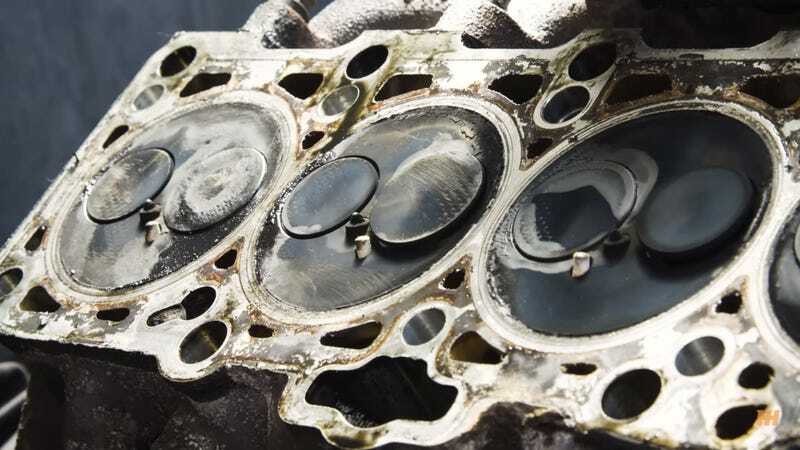 Upon removal of the cylinder head, however, they see camshafts in good shape, valves in even better shape, and even the cylinder bores are still nearly new. Sure, there is a lot of carbon buildup and oil leakage, and the turbocharger has a bit of minor shaft play, but it looks ready to tackle another 6-figure odometer rollover before needing any major parts. Treating that engine to quality fluids, checking on them regularly, and replacing them on a proper service interval could extend its service life for decades. I’ve always been a believer in treating engines right, but this was still an eye-opening watch.